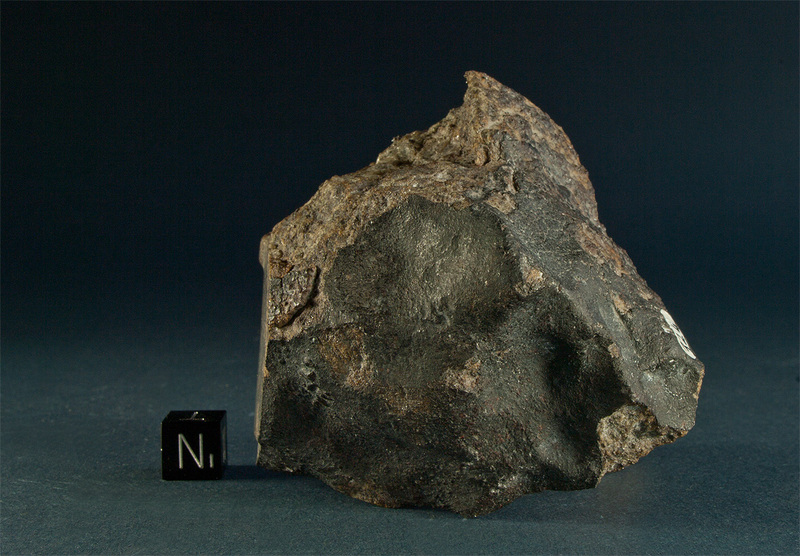 Crusted endcut of the Tafassasset meteorite. Tafassasset consists of 26 stones found in the Tenere desert of Niger between 2000 and 2001. 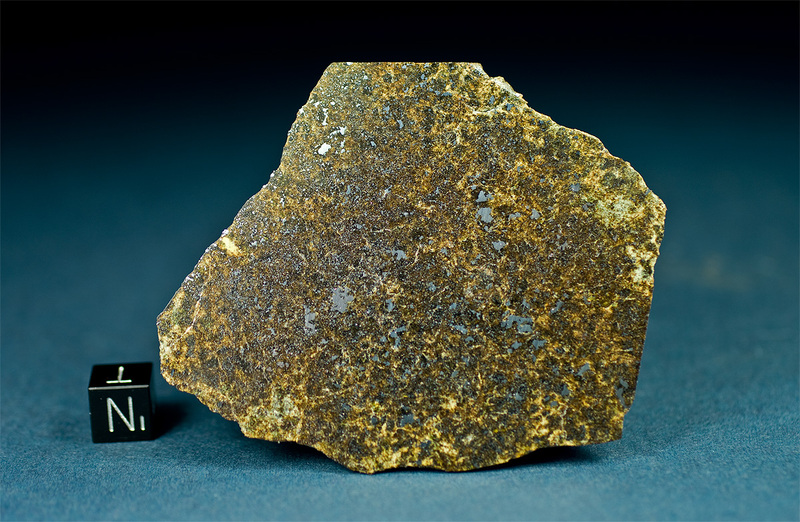 The meteorite has yet to be definitively classified as there obviously are considerable textural and compositional differences between individual stones. In the course Tafassasset was classified a) as a metamorphosed CR chondrite in line with other Renazzo-like CR chondrites, and b) as a primitive achondrite close to the anomalous LEW 88763 and other Brachinites. A recent paper by K. G. Gardner-Vandy et al. (2008) agrees that all Tafassasset material circulating in the scientific community is paired but that some stones have distinct oxygen isotopic compositions. The authors suggest that the Tafassasset parent body of FeO-rich material partially differentiated and cooled in a region of the nebula with oxygen-isotopic composition similar to the CR chondrites. However further research is necessary in order to understand the genesis of this most intriguing meteorite.